An easy way to find Twitter users in your city. Unlike Twitter Search, which searches content, Twellow searches Twitter profiles. Twitter has given birth to some pretty strange sounding names. Twibes, Twellow and now Twiangulate. This application allows you to see commonalities between three Twitter users. 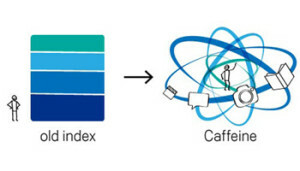 Google just released what it is calling Google Caffeine in an attempt to become more relevant with search results. Listening and searching really is the secret to using Twitter effectively. Here’s how to use Twitter to listen. 15 quick tips on how to use Twitter for business.